God is dead. God remains dead. And we have killed him. How shall we comfort ourselves, the murderers of all murderers? What was holiest and mightiest of all that the world has yet owned has bled to death under our knives: who will wipe this blood off us? What water is there for us to clean ourselves? What festivals of atonement, what sacred games shall we have to invent? Is not the greatness of this deed too great for us? Must we ourselves not become gods simply to appear worthy of it? Nietzsche’s answer–that we must become gods–foreshadows his idea of the Übermensch, the “superman”. As we’ve seen over the last century and a quarter since Nietzsche’s death, that didn’t work out so well. The void remained unfilled. What could fill it? At this point, we must leave that question hanging for a bit while we look at another of the great societal changes to come out of the Enlightenment. In the last post, we looked at the religious and philosophical changes brought on by the Enlightenment. Here I want to look at a change that was partly technological, partly educational, and partly cultural–the rise of mass media. We’ve looked at ancient pagan religion and the changes brought about by ethical monotheism, as manifested by Judaism. It is still necessary to determine how the change from the former to the latter (at least in the form of Christianity) occurred. Ancient pagan society was in many ways extremely tolerant and pluralistic, things we tend to value. If these were its features, what were its bugs, that it was replaced? It is important, first of all, to acknowledge that much of the process of conversion was accomplished not because of any inherent attractiveness of the new faith or real or perceived problems with the old, but for baser reasons. 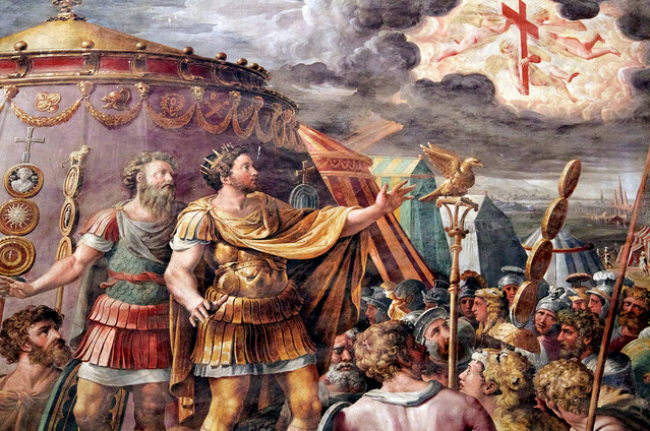 As Christians increased in numbers, and especially after Constantine’s Edict of Milan decriminalized it, many converted for reasons of social advancement. In short, if you can’t beat ’em, join ’em. Later, Theodosius I, with the Edict of Thessalonica, made Christianity (specifically its Nicene form) not only legal but official, the motivation for conversion became even greater. In the latter days of the Roman Empire, the pressures to convert increased as pagan temples and schools were closed. After this, in the Middle Ages, conversions were often proclaimed by fiat when the local tribal chieftain or king converted (e.g. Vladimir of Russia). Despite all this, it is true that even before all of these other factors came into play, Christianity was spreading like wildfire in the early days of the Roman Empire, and doing so despite persecution and intolerance. By the time of Constantine, the population was about ten per cent Christian–still a minority, but a relatively sizable one. This indicates some appeal of Christianity, and some weakness in the old ways. What were they? The above is one of my favorites from the College Humor website. It gets things pretty much dead to rights. Moreover, I don’t take it as ridiculing or being unfair to religion; in fact, it suggests an interesting way of looking at faith. The analogies between religion and role-playing, or more broadly between religion and”nerd” or “geek” subculture are something I want to explore in upcoming posts. I think we’ll find out some interesting things as we go. The Disenchantment of the World, Part 1: What is Religion, Anyway?